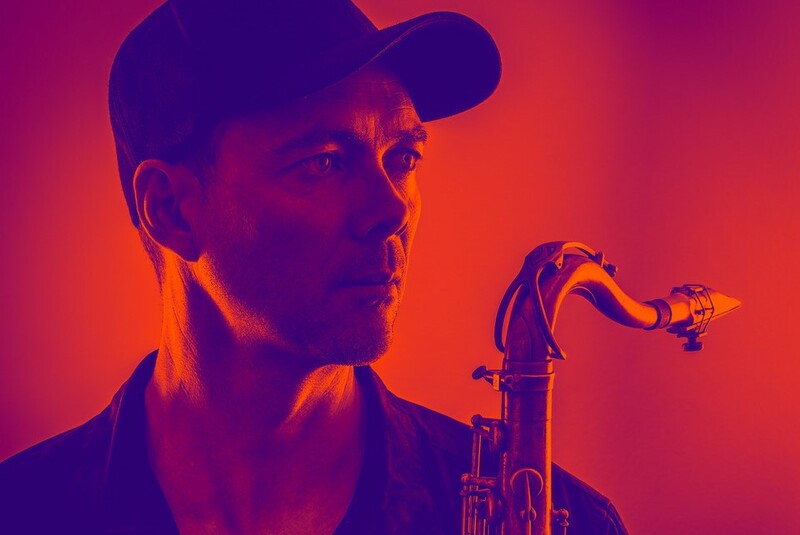 An interview with Matt Ottignon for Jazz Australia. Matt Ottignon creates sounds that spring from everywhere he’s been and everything he’s seen… music that’s undoubtedly earning him a place among the key constituents of the contemporary scene. A gun sax player with indisputable musical genes, originally from Auckland, New Zealand and brother to Blue Note signed Aron Ottignon, Matt landed himself a spot in Mike Nock’s band while studying at the Sydney Conservatorium in 1999 and has been in demand ever since and was a finalist at the 2002 Wangaratta National Jazz Awards, a two-time Freedman Fellowship nominee and previous Jazzgroove Association Artistic Director. A sought-after musican who has been described by the Australian as a “lusciously lyrical tenor”, Matt’s muscial endevors have seen him travel to far flung places including Ethopia with Dereb the Ambassador and Montreal with the Scotch and Soda circus/music collaboration. Adored by the pre-schooler set as Mr Saxophone on ABC Kid’s Lah Lah’s Big Live Band, he is also a key member of the ARIA nominated Baby Et Lulu. AC: So, Matt you have been BUSY. Where in the world have you been? MO: The last few years I have been super busy touring overseas with Jazz/Circus show Scotch and Soda plus various other bands in Australia. When I came back from my last tour to Canada and Germany I was invited to play on seperate occasions with Chris Cody, Elio Villafranca (Cuba/NY) and for Mike Nock’s tribute night. AC: You are getting back to your roots with this new collaboration featuring Alister Spence, Toby Hall and Lloyd Swanton. Can you tell us more about this? MO: The recent three shows I just mentioned featured stunning jazz writing and I really enjoyed all three gigs. The it really just dawned on me that I love playing jazz and I have been avoiding it for too long. My originals projects Mister Ott, Informal Troupe and Exotica never really gave me the opportunity to play this kind of jazz. During my travels, I’ve also noticed a world wide resurgence in Jazz, especially in London, and it has inspired me to get back into to it. AC: Have you played in this kind of setting with these musicans before? MO: I performed with Lloyd recently in for Chris Cody’s gig at SIMA, and Toby and I last performed a jazz gig together probably way back in 2003! This will be my first gig with Alister and I am very much looking forward to it. The focus of this gig is on Australian Jazz originals. Inspired by the writing of Chris, Elio and Mike I began looking for other suitable material from other composers. I listed to dozens of albums by Andrea Keller, Paul Grabowsky, Barney McAll, Sandy Evans, Roger Manins, Clarion Fracture Zone, Bernie McGann and Mark Simmonds, well the list really goes on and on. So much great music. If I was only going to feature one piece from each of the artists I listened to I would need a string of gigs! The music of Alister and Lloyd alone is enough to fill the gig and I am hoping to feature a couple of my own compositions. AC: So much good music there! You’ve come up playing with some of Australia’s greats, and been offered Ken James’ Ten Part chair after he passed away. Has any special moment or mentor shaped your playing? MO: Touring with Mike Nock as a young Conservatorium student in 1999 had a huge effect on me. I was suddenly experiencing music making of the highest order. Around that time I also performed with Bernie McGann, who was my favourite player in Sydney. His sound and sense of phrasing hit me every time. Also have to mention that performing alongside James Greening while in Jackie Orszaczky’s band really pushed my playing. AC: What’s next for you Matt? MO: My trio Informal Troupe with Dave Symes and Hamish Stuart is back after a 6 year hiatus and we will be recording our second album next month. The last one was in 2006! Mister Ott is still performing regularly in Sydney and the children’s music show I am part of, Lah Lah, has just been nominated for another Aria award. Lah Lah is also currently touring it’s 10th year Birthday show. I am just about to start a tour of Holland with Scotch and Soda. I am performing with Compass Quartet alongside Bobby Singh and Sarangan at Four Winds Festival in Bermagui and finally I will be performing with Baby Et Lulu over the next few months in Sydney and around NSW.